If you have some idea, porpose ! Welcome, Angelique ! I hope you will love my forum !! I changed my psuedo (better translated as Username) to Harvest Goddess. Since we have four members, can the game begin now? EDIT: Oh. We have to wait until April 1st. Crud. That's a very long time for an RPG, you know. Your Username is supposed to be the same as your character's name. You can go into your profile to change your name. Welcome, Charlotte and Avalon ! i hope you like my forum ! Avalon, what name you want to give to your farm ? Work Desired : Mayor? And singer for the festival? Welcome on my forum, Meg ! I hope you will love it ! I can't wait till we start! Me too ! Its too long ! 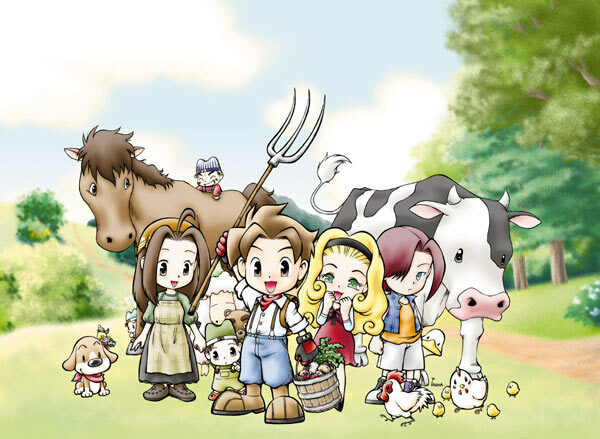 But purpose to your friend fan of Harvest Moon to join ! I will send a e-mail to the member four days before the 1st April ! also..... How many moderaters are there? The House you Want : Lives in the inn. My most favorite thing in the world: French Toast. 3 Things that I Like : Dogs, butter, metal ores. 3 Things I Dislike : Horses, milk, work. Okay, I'm changing my age because my character's the oldest one here. I was wondering, how come we can't start and the town grows as the story goes on? Kind of like in Magical Melody?